By 2020 it’s expected that British Columbia will have over a million new job openings – the majority coming onto the market within the next three years – and immigrants will play an essential role in filling many of them. The province’s deputy jobs minister Dave Byng spoke out to a business audience in Vancouver earlier in the year about the 47 projects in the works costing a total of half-a-billion dollars or maybe even more. He estimated that three quarters of the work for these projects will be concentrated in northern B.C., and should create two different job streams – construction and operations – with most work in some way involving liquefied natural gas. The construction element of the work is expected to be mainly of a temporary nature, with its main boom time in 2016, before coming to a head in 2018, according to Byng. As the projects are built, the operations jobs will begin to come into play, which are expected to be much more long-term. According to Byng, the government wants to ensure that B.C. residents are given first dibs on the new job opportunities, as well as giving schools and post-secondary institutions the best chance of producing the right graduates to fill the upcoming skilled worker positions. However, regardless of where the government’s priorities lie on this matter, Byng also predicted that many of the workers required will have to come from outside of B.C. Looking across the country is the next logical step, with a few Eastern Canadian provinces already having expressed an interest in sending skilled workers to BC. It is also going to be necessary to recruit employees from offshore, especially in the LNG industry, as employers will need workers who already have a very specific skillset. This is where we can expect temporary foreign workers to be most in demand, especially for areas such as construction. Byng also took the time to admit that the controversial temporary workers program got a “a little bit of a black eye” more recently. According to Immigration Minister Chris Alexander, we can also expect more skilled workers to Canada over the upcoming months, thanks to changes to the federal program. It also means British Columbia’s provincial nominee program will be extended. 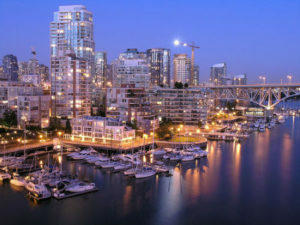 Are You Interested in Coming to British Columbia to Work? If you feel you may be suitable for upcoming employment opportunities in B.C., or are in need of immigration services, contact the experts at VisaPlace today to book an initial consultation and find out more about how we can help you.